If you've received your August card kit, you're probably bursting with ideas for integrating the innovative designs and embellishments into your projects. While Valentine's Day crafting might be at the forefront of your mind due to the love theme and pinky-red color palette, this collection is really perfect for any time of year! 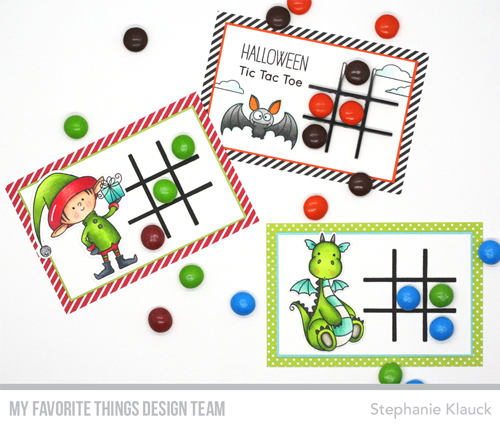 Learn how X's and O's can be used to create sweet party favors by watching Stephanie's video HERE, or by watching below. For more tips and tricks, make sure to subscribe to our Youtube channel! By simply changing up the images and color choices, these party favors will work for almost any occasion. If you haven't purchased the X's and O's Card Kit yet, you're in luck! We still have a limited supply available and one of them has *your* name on it! Card kits make great gift ideas for the crafters in your life as well — especially new paper crafters. Since they feature everything you need to create a beautiful card right out of the box, you get to introduce future craft addicts like yourself to the wonders of stamps, dies, and fun supplies in one fell swoop. Grab X's and O's for yourself today! 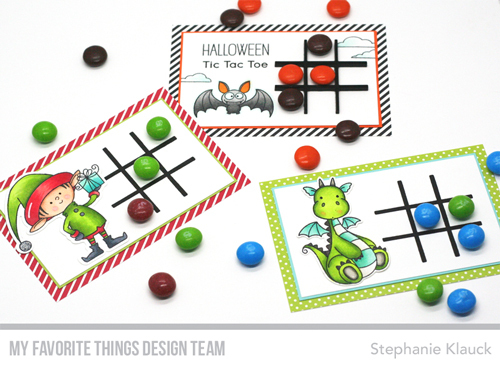 Ready to party with your My Favorite Things August card kit? Tag your MFT projects with #mftstamps - you might just be spotted.